01489 886 656 OR HEDGE END ON 01489 789 276. 24HR Emergency Locksmith, uPVC lock specialists, Key Cutting, Locks, Safes, Security. Have you misplaced your house keys or locked yourself outside? Solent Locksmiths provide a 24 hour emergency locksmith service to get you out of your sticky situation quickly. Duplicating your house keys is a quick, easy and inexpensive service, that everyone should have completed in order to avoid the stress one faces when they find themselves locked out of their home. Specialists in the supply and installation of a large range of locks, if you're looking for something specific, why not visit us at our Hedge End or Park Gate branches today. Have you found yourself locked out of your business, house or car? Perhaps you require a duplicate key or some door hardware? Whatever your requirements the knowledgeable team at Solent Locksmiths can help. Established in 1996, we now operate two branches between the busy cities of Portsmouth and Southampton, catering for both commercial and domestic customers. From sourcing hard-to-find locks, key cutting and supplying panic hardware, safes and door closers for businesses, to providing a 24 hour emergency call-out locksmith service, you can count on Solent Locksmiths to protect you, your business, your home and its contents. We are Trading Standards Approved and Members of the Master Locksmith Association. A simple way you can do this is to avoid social media posts or ‘checking-in’ to places—which allows the public to know your location. If you are posting, then just turn off your location and social media will not be able to notify others where you are posting from. A faulty door lock is not ideal regardless if you are in the house or not. These faults can cause a myriad of problems for you, one of which is the predicament of a faulty lock being easier to break in to. Have a reputable locksmith repair or replace your locks before you vacate; if you are looking for a sign of reputation, check for credentials such as the MLA certification. Window locks are another way to ensure your home is safer and less easy to access for burglars. As previously stated, faulty locks can be an issue and if they are non-existent, then this can be problematic when you’re leaving your home for a considerable amount of time. A locksmith will again be able to repair or replace window locks with minimal disruption for you. The impression of being home and present is an extremely effective way of deterring unwanted visitors. The lack of movement in a house is what can often tip off burglars to an empty house. Timers for lights allow you to create a sense of being home; it creates an iota of doubt, even if cars aren’t on the driveway etc. An effective way to monitor your home is through the use of security cameras. In the current day and age, there are many different types of surveillance that you can use and it doesn’t have to be extortionate! These can be installed quite quickly and allow you to record and monitor anyone that approaches your house. These systems often allow remote observation and thus can give you the opportunity to identify culprits on camera and notify the police. These small and efficient cameras are also an option; they are very reasonable in price and can offer you some extra reassurance when leaving your home. Depending on the device you have, you can often link it to your phone and monitor it on the go. Some of these systems can notify you via your mobile to let you know if there has been any movement or intruders in or around your property. This not only allows you to view the intruders, but it also gives you to opportunity to call the police from wherever you are. Lights on the outside of your home which detect movement can be an effective deterrent as it draws immediate attention to potential invaders. This can be especially valuable if you live in a residential area, where lights would draw even more attention from neighbours. If can also improve the quality of your surveillance cameras if you are using them in conjunction with one another. You do not want to provide a tool for a burglar. Ensure that ladders are stored away safely and securely. If this is in a garden shed, then ensure the padlock on your shed is secure and of a good quality. This may help prevent an intruder using your own tools in order to break in. If they are being stored somewhere else outside, ensure that they are secured with a padlock and chain to guarantee they are useless to anyone without the key. This relies on you knowing and trusting your neighbour(s). Letting someone know you will be away, perhaps for a few days, can be very beneficial. They can keep an eye out for any suspicious behaviour and contact you if they do see anything out of the ordinary. If you have been neighbours for a while, they may have an emergency key to your home; this may be a good time to ask them to pop in and open/close curtains and so on, recapping on that idea of movement and being present. Wardrobes are the first place a thief looks, so if you have some really valuable items, family heirlooms etc. then you will need to think of where you can store them. This is the time to be imaginative and creative. Model cans in the cupboard can work well for small items; they essentially work like a money box, but have the façade of an ordinary kitchen item. 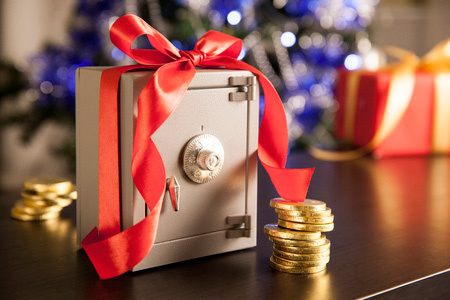 Safes are a really good investment if you have even one item of significance, value or importance to you in your home. You can get varying sizes and types to match your needs. A reputable locksmith is a good person to contact in regards to safes. They will be able to detail the types that they offer, how much it will cost and how quickly they can fit it. If it is provided by a locksmith, then you can be assured that they are trustworthy and that it is of high quality. Again, be sure to check credentials of your locksmith; look for Master Locksmith Association (MLA) certification or an equivalent credential. If you have side access to your home, then ensure your gates are secure. If your existing lock is faulty, then having it fixed or replaced is a quick and extremely valuable job to have done. That is the first step. However, a lock on its own generally isn’t enough, as most intruders will be able to gain access even if there is a lock. The next step is to get a quality padlock to ensure that the door can only be opened from the inside with a key to the padlock. This way you have doubled the security of a burglar gaining rear access to your home.